By identifying and developing high potentials, organizations retain their talent as well as grow their business knowledge. Harrison's Emerging Leader Competencies Assessment enables you to compare new leaders or high potentials to understand their behaviors in relationship to best practice leadership competencies. 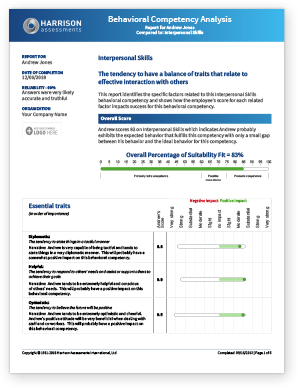 It provides reports with actionable roadmaps for high potentials to learn the key emerging leadership competencies.